Sweet everlasting, Pseudognaphalium obtusifolium (formerly Gnaphalium obtusifolium), of the Aster (Asteraceae) family is an herbaceous annual. In the U.S., it occurs from Texas to Nebraska to Minnesota and thence east and south to the coasts, including most of Arkansas. Natural habitats are mesic to dry sandy areas in prairies, glades, open woods and open disturbed sites. The common name “sweet everlasting” relates to a light pleasant scent and the durability of fresh dried cuttings. Another common name is “rabbit tobacco” (this name is also applied to other species in the genus) based on the plant having been used as tobacco by Native Americans and early American settlers. Sweet everlasting has a rambling, rough, woody tap root along with smaller, variably-sized, near-horizontal roots from the tap root and caudex. Seeds germinate in late fall and plants overwinter as low basal rosettes of broadly linear leaves, maturing the following year. Leaves are widest above mid-blade with an extended taper to a blunt (spatulate) apex. From mid-leaf to leaf base, margins have a gentler taper. Basal leaves are tomentose (with dense matted woolly hairs) on both adaxial (upper) and abaxial (lower) surfaces. Leaves are a muted whitish light green color, due to their tomentose nature, and are smooth as velvet. 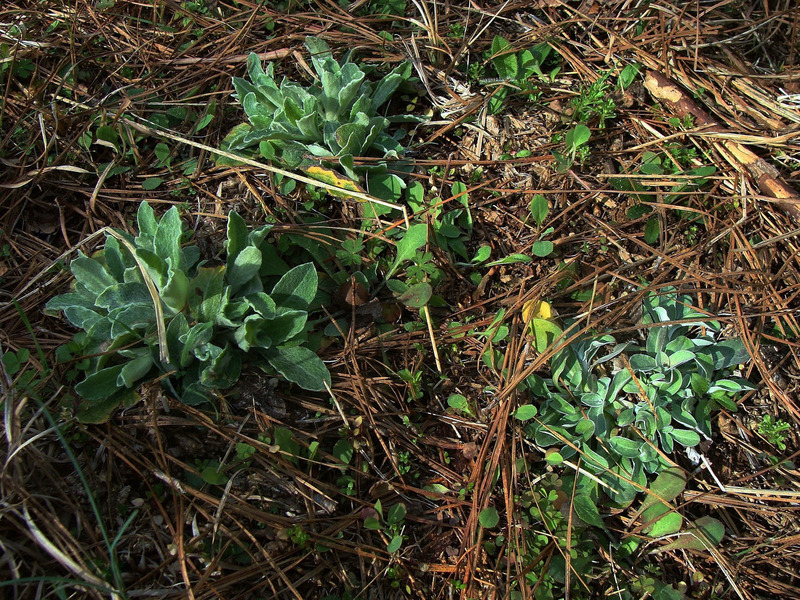 Photo 1: Basal rosettes of sweet everlasting grow overwinter. 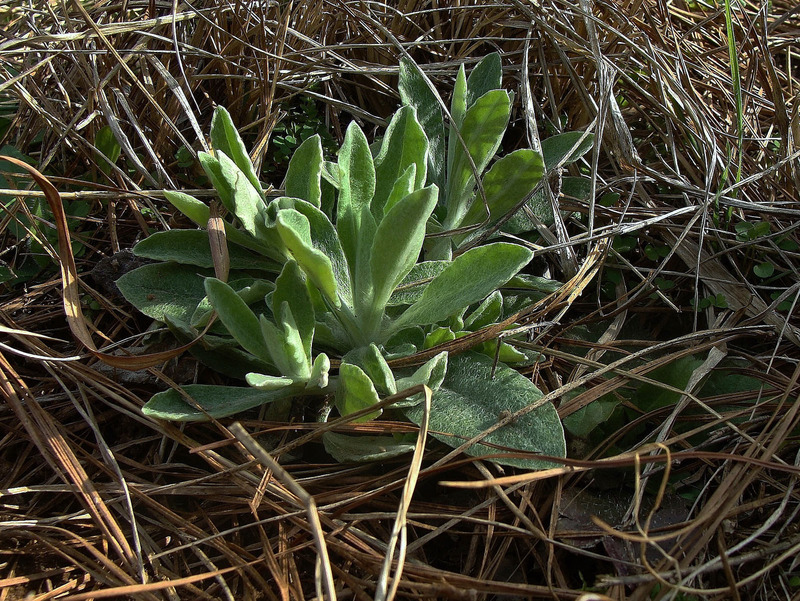 In this early March photo, tomentose leaves are evident. 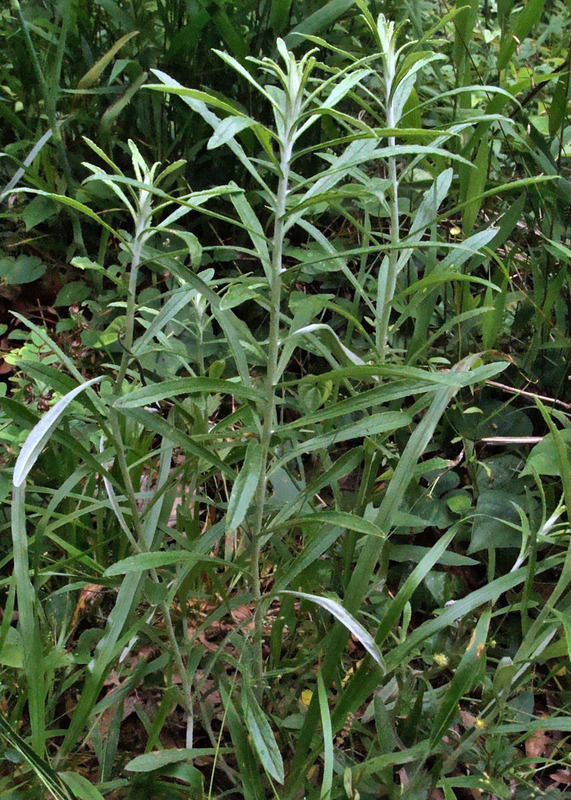 A mature plant in mid- to late-summer may have one to a half-dozen erect stems that may reach 2½ feet tall. The terete (round), somewhat hardened stems are not branched except along their upper portion where many secondary, ascending branches occur. These branches, in turn, have tertiary branches toward their tips. Stems and branches, too, are tomentose, thus stems are light green to white. Photo 2: In late May, stems remain unbranched and adaxial leaf surfaces are glabrous. Stem leaves are entire, linear, sessile and clasping. Largest leaves may be 3 inches long and 1/3 inch wide with a slightly pointed tip. Leaf size gradually decreases up main stems and along branches. Stem leaves are jade green on the adaxial side which is glabrous, or nearly so, while the abaxial side is uniformly tomentose so that they have a whitish cast. Leaf arrangement is varied from closely spaced and whorled around the stem as well as alternate or opposite. Leaves fold inward along the midrib and margins are somewhat undulated. Venation, although pinnate, is indistinct except for the midvein which is slightly recessed adaxially and expressed abaxially. With anthesis (flowers open and functioning), and especially with drying soils, stem leaves dry from the ground up, but remain on the stem and become twisted. With killing frost, dry leaves throughout the plant become brown above and silvery below and remain into winter months. Inflorescences develop from late summer into early fall. Inflorescences occur at the ends of branches with a number of branched peduncles, each terminating with up to five closely spaced flower heads on separate pedicels. Although flower heads of common peduncles are arranged in a corymb (lower heads have longer pedicels), with branches growing from different levels of main stems, the overall inflorescence at the apex of a stem is domed. Flower head buds have elongated cone shapes with a pointed apex and rounded base. The exterior of buds is formed by thin, oblong-lanceolate phyllaries (bracts) that are covered with dense, matted hairs (the longest hairs on the plant). The dense hairs mask details of the phyllaries which are appressed and overlapped in five or so series. The composite flower heads are composed of only disk flowers which stay well hidden within the tight involucres (phyllaries, collectively). At anthesis, only the tips of corollas and stamens are seen as a flat yellow surface, with individual florets being indistinct. 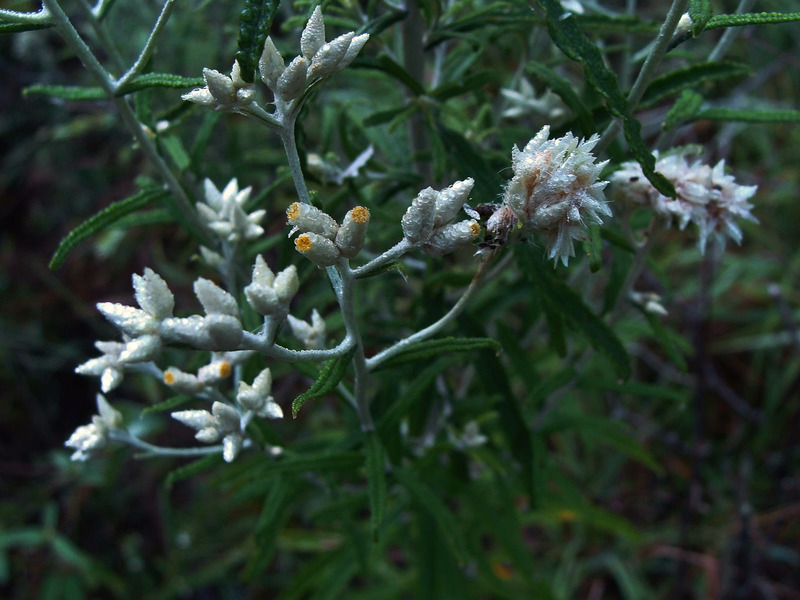 Photo 3: In late August, yellow-topped flower heads are at anthesis (this inflorescence covered in morning dew). Photo 4: In late September, some flower heads remain in bud while others have developed seed. Florets mature to produce achenes (1-seeded nutlets) with long whitish to straw-colored pappus (tufts of hairs at the top of the achenes). 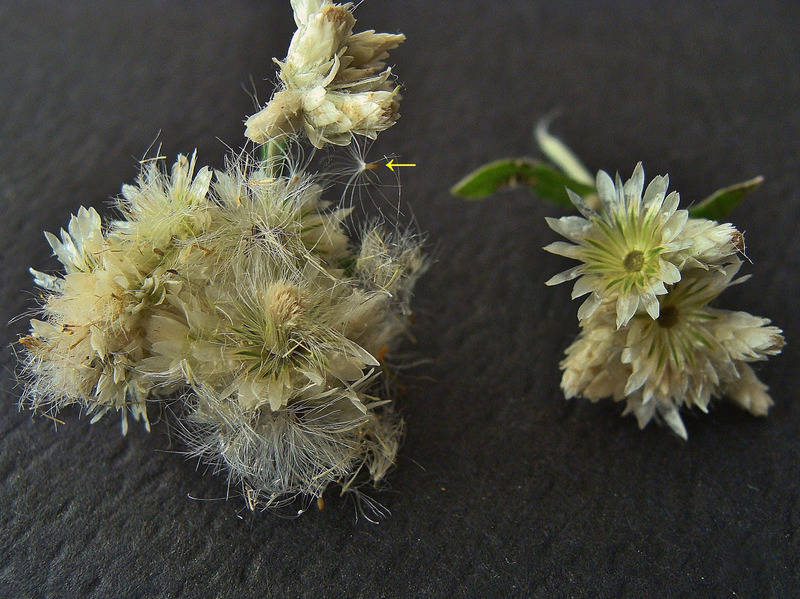 At seed maturity, the involucres spread wide and the achenes tend to disengage from the receptacle in clusters. The tiny, elongate, narrow achenes are then dispersed by wind via the pappus. With the seeds gone and the loss of tomentose hairs, the structure of the involucre is more obvious and four or five series of phyllaries are easily seen. Phyllaries, almost translucent at this time, have a light green lower central stripe. Phyllaries in the lower series are shorter and broader than the lanceolate ones in the upper series. Photo 5: In early October, with dry summer months, many lower stem leaves have dried. Photo 6: Display of maturing corymbs in mid-October, when achenes are dispersing. Note achene with pappus in left corymb (arrow) and empty flared involucres and exposed receptacles in right corymb. 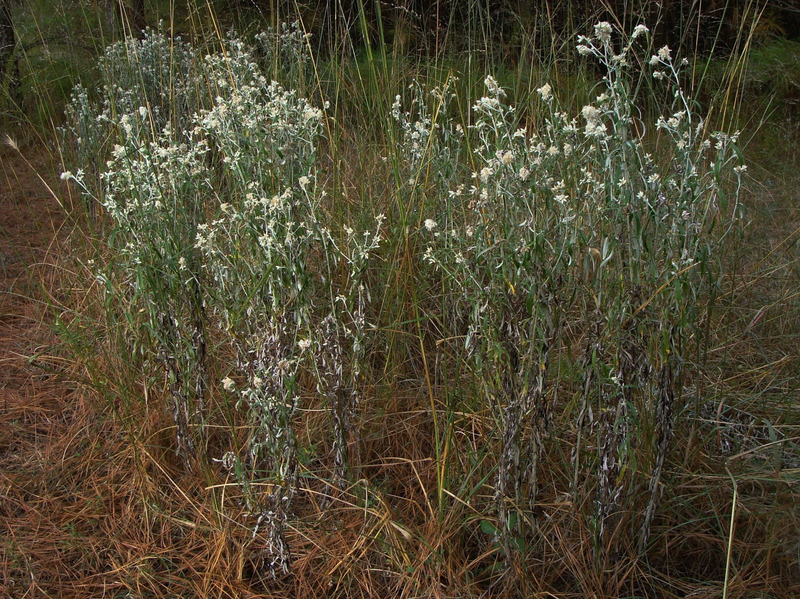 At least two other species of the same genus as sweet everlasting are found in Arkansas; namely, red-tip rabbit tobacco (Pseudognaphalium luteoalbum) which is found in over a half dozen scattered counties in south Arkansas and rabbit tobacco (Pseudognaphalium helleri) which is found throughout the southern half of the state. The non-native red-tip rabbit tobacco (P. luteoalbum) has 1) tap or fibrous roots, 2) similarly tomentose stems and leaves, 3) stem leaves that are more narrow and elongate with decurrent margins (extending down stem below point of leaf attachment), 4) flower heads on very short peduncles/pedicels that are closely grouped at the apex of main branches, and 5) red-tipped corollas. The native rabbit tobacco (P. helleri) has an overall structure very similar to sweet everlasting, but P. helleri has 1) fibrous roots, 2) stems and leaves that are green with glandular-stipitate hairs at maturity instead of tomentose, and 3) medium green lanceolate leaves. 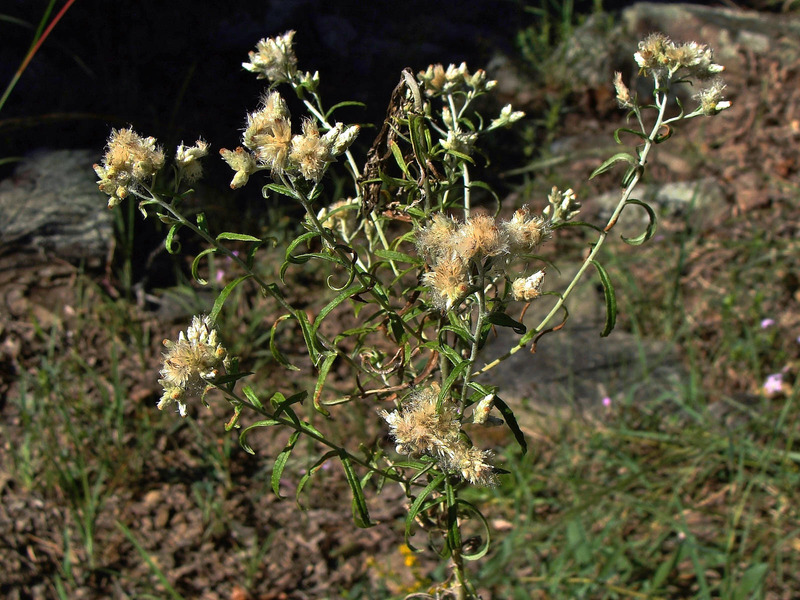 Other plants that have a very similar appearance during late winter and can occur in the same habitats as sweet everlasting are the related cudweeds (genus Gamochaeta, also formerly of the genus Gnaphalium), of which there are at least seven species (some native and some non-native) in Arkansas (including Gamochaeta purpurea, G. argyrinea, etc.). Cudweeds have fibrous roots, leaves that are generally shorter and more broadly spathulate, and leaf pubescence that feels smooth rather than velvety. Upon growth of stems and inflorescences, they are more easy to distinguish from sweet everlasting. Flower heads of cudweed are sessile to very short-stalked and occur in tight clusters or spikes of clusters. Photo 7: Plants at left and upper positions are sweet everlasting (Pseudognaphalium obtusifolium). Lower right plant is a cudweed (Gamochaeta sp.). 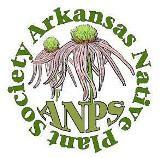 This entry was posted in Know Your Natives, Native Plants, Wildflowers and tagged Asteraceae, Know Your Natives, Pseudognaphalium, Pseudognaphalium obtusifolium, Sweet Everlasting. Bookmark the permalink.